ValuTrack application experts can help you choose the most appropriate label media to solve your toughest challenges. Should a stock solution not work, we can also work with you to develop custom or pre-printed labels to meet your precise needs. ValuTrack carries media and supplies from all the major vendors including: Zebra, Honeywell, Intermec, General Data, Metalcraft, Datamax-O’Neil, Omni ID and more. From barcode printer repairs to all of the hardware technology your business requires, we have you covered. ValuTrack offers one of the largest selections of labels and tags on the market with our industry-leading partners such as Zebra, Honeywell, Intermec, Datamax-O’Neil, Data General, Metalcraft, Omni ID and more.There are many different types of barcode labels, (paper, polypropylene, synthetic and more) each designed for different applications. You can get a permanent label designed to weather the elements for years, or a shipping label meant to last only days. Whatever your requirements may be, ValuTrack carries a full line of labels to meet your business needs.With so many media types and materials available, it can be a challenge to find the right solution to fit your application. Talk to a ValuTrack Barcode Label Expert today, we’re happy to help. ValuTrack offers a wide variety of durable, high-performance tag media to support your most challenging tracking applications. Available in both paper and synthetic face stock, we offer tags across a range of price points and performance measures, so you can be assured of meeting your specific application requirements. Direct thermal and thermal transfer tags deliver excellent print quality, whether you choose direct thermal or thermal transfer printing technology. Companies benefit from the use of color coded barcode labels by creating a company-wide color coding system for internal use in manufacturing, shipping and marketing operations. Many organizations use color coded labels and colored barcodes to streamline parts assembly, for warehouse inventory management, for tracking labels, for retail product labels and more, to improve its efficiency and profitability. Our design team can help you create a system to meet your needs, as well as, help you design colored labels with your company logo for your products and containers. Call our customer service representatives to find out how we can supply all the color coded labels you need. 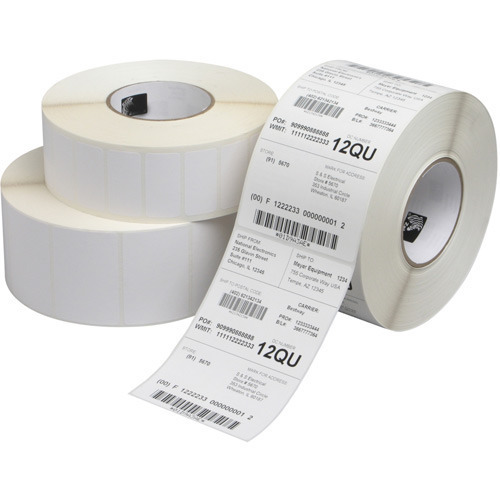 ValuTrack offers direct thermal paper label stock in an assortment of popular sizes for high-quality, cost-effective printing across multiple environments and applications. Cards and ribbons come in a variety of colors and options including magnetic stripes, smart chips and RFID elements. Making sure the media you choose matches your application and your printer model is crucial to getting the longest lasting and best printed results. ValuTrack offers a wide variety of card stock for quick shipment. If you need a full solution, card printer, media (cards, ribbons) and design software, we can assist you with that, as well. Indicators your printhead may need replacing include inaccurate, smudged or choppy barcodes that do not scan. We carry a large variety of manufacturer specified thermal printheads for all models of thermal transfer and direct thermal barcode label printers. Call us for details on certain printheads that come with a guarantee. With our wide selection of receipt paper, no matter what printer you have, we’ll have the right paper for it. From standard thermal rolls to multi-ply impact paper, we carry receipt paper in a variety of sizes to meet the requirements of many applications including but not limited to, cash register, point-of-sale, mobile printing, e-ticketing, lottery/gamming, and gas station pump payment terminals. ValuTrack offers the most current UHF inlays with a variety of printable materials to offer a broad selection of products suitable for a wide range of applications. 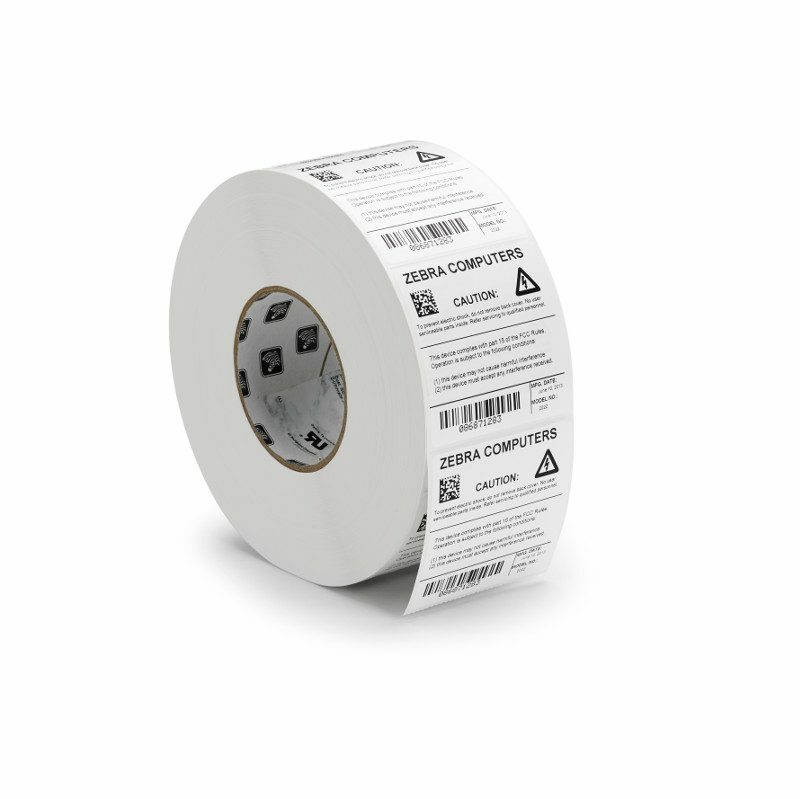 Thermal transfer or direct thermal printing and chip encoding enable on demand generation of durable RFID labels and tags. Deploy them with confidence. ValuTrack offers wax, resin and wax-resin thermal transfer ribbons compatible with your thermal transfer printer. We have all popular sizes of thermal transfer ribbon ready for direct delivery, with thousands of others available by special order. Thermal transfer film labels are exceptionally durable when applied with thermally sensitive ink ribbons, producing barcodes that are both visible-light and infrared scannable. ValuTrack offers a broad array of synthetic labels that offer excellent tear-resistance, aggressive adhesives and/or high moisture- and heat-resistance. Thermal transfer paper labels are an excellent choice for use in environmentally demanding applications, where labels must stand up to conditions such as heat and sunlight. Thermal transfer printing technology uses thermally sensitive ink ribbons to produce bar codes that are both visible light and infrared scannable. ValuTrack offers thermal transfer label products, available in both paper and synthetic facestocks, that provide durable, high quality printing and unlimited flexibility. ValuTrack offers a wide range of barcode wristband solutions that provide the positive identification hospitals need for maximum patient safety.